MOSCOW, February 2. /TASS/. Norwegian national Frode Berg, who is accused of spying on Russia, claimed in Moscow’s Lefortovo District Court on Friday that «he was deceived by a person he had trusted.» Lawyer Ilya Novikov clarified that his client was referring to the alleged Norwegian intelligence officer, at whose request he arrived in Russia to hand over information, unaware that the material was illegal. «I was deceived by the person I trusted,» Berg told reporters in the courtroom without specifying whom exactly he was talking about. «Berg came to Russia at the insistence of an individual he had trusted and who apparently worked for Norwegian intelligence. This person deliberately put Berg at risk by asking him to send a message which was intercepted by the FSB and which launched this case. My client admits that he had sent this message but did not understand its content,» Berg’s lawyer explained. 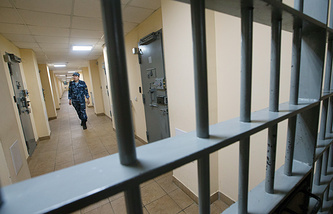 On Friday, Moscow’s Lefortovo district court extended the period of detention of the Norwegian national until May 5. The defense asked to release Berg on bail to the tune 10 million rubles ($177,600). The hearing of the motion to extend the arrest was held in a closed-door court session due to the case’s classified materials. The media were let in only for the announcement for the resolutive part of the decision. The attorney has already filed a short complaint against this decision with the appellate body of the Moscow City Court. Berg has been charged with espionage under section 276 of Russia’s Criminal Code. According to media reports, he was detained in Moscow during a special operation by the FSB upon illegally acquiring classified documents. Detectives believe that these documents, related to the Russian Navy, were handed over to Berg by former Russian policeman Alexey Zhitnyuk, who was arrested at the end of November by the Lefortovo District Court on charges of high treason (under Section 275 of Russia’s Criminal Code). Sportens verden tror ikke at nesten alle idrettsutøvere fra dette landet lider av denne sykdommen.